Since RelaX does not have an installer, you will have to manually extract the files into a destination folder. make a folder where you would like RelaX to be eg. c:\relax , unzip the folder into c:\relax or the destination you choose. relax from their personal computer would choose to relax_ns.exe, where as you have a dedicated server relax.exe would be preferred to be run as a service. depending on weather you want to Install or uninstall the relax streaming server, "c:\relax\" being the folder you choose to install RelaX into. 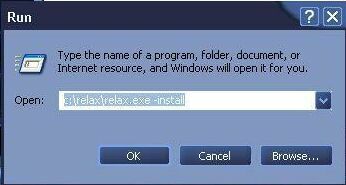 When you have done this (and pressed enter ;), a dialog will appear stating that relax has been installed successfully as service. 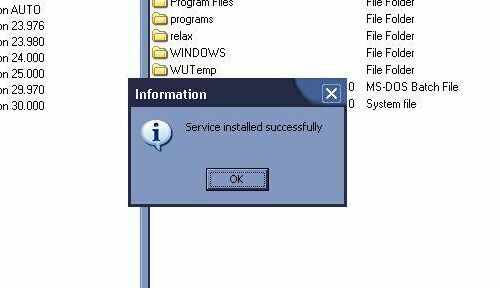 The same will happen uninstalling the service. 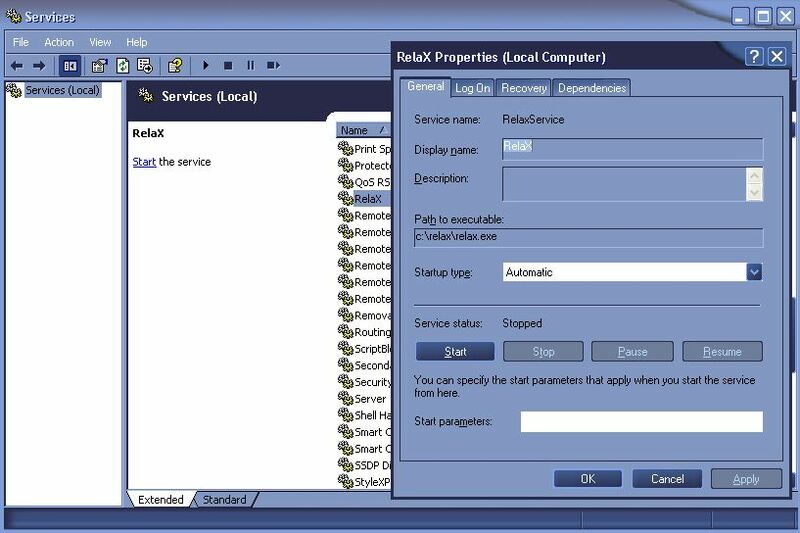 Service management can be found via right mouse button on My Computer..
Running RelaX you will either have to use relax.exe or relax_ns.exe depending on weather or not you installed Relax as a service. Either way one of these files will display the RelaX gui. Upon first run you will see a two split window, with left side showing you your shares, and right side showing files and folders. Configuration with containing subtitles and frame rate for subtitles. You can either choose to use these two created virtual folders, or make some new ones, or simply rename them if you want. To rename simply click on the folder and write the name you wish in the NAME entry below. As you might have noticed Relax is able to produce virtual folders, so that you can categorize your movies and browse them through Xbox Media Player. The virtual folder gives you the opportunity to use multiple folders on multiple hard drives and sharing these resource, so that you only have to browse ONE directory through XBMP. Right click on Divx (the predefined state, or what you chose to call it) press either ctrl-ins (for our keyboard savvy folk ;), or click Add. In the lower right side you will find a browse button and a line where you can enter folder names and a go to box. In the blank line write D:\ (or whatever drive your folder is located on) and press "goto" or enter. Now you drag you folder from the right pane to the left and place it beneath the virtual folder you created earlier. Do the same thing with folder number 2. Now you will have 2 folders beneath your virtual folder. without integration u would see "Actionmovies" and "Moreactionmovies" ... with integration u would only see the content of both folders in the "action movies folder"
For these ip´s only This gives you the possibility to specify witch ip´s are allowed to browse the folders. Eg. if you have multiple xboxes connecting, or if you want to prevent possible hacks. Now on the two folders that we added to the virtual folder, we enable Recursive and Flatten. You can choose to enter an ip that is allowed to browse the relax folder (recommended). that's it...now you’ve created a virtual folder with multiple directories. 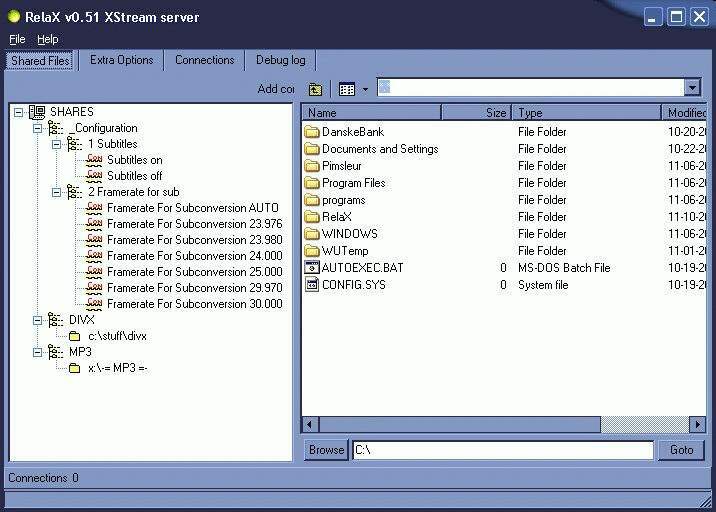 XBMP will sort the files in the folder automatically, so you don't need to think about this! Debug Log: gives you a detailed view of what is happening. Under Extra options you will find a couple of things, most of these will be explained at the right side and is easy to understand. The only thing you really need to set is the folder that contains your subtitles and restricting which ip´s are allowed to connect to relax (recommended if relax is run 24/7 on a computer connected directly to the internet) You can choose to have a separate folder for your subtitles or keep you subtitles in the same folder as your files. Just remember to call the subtitle the exact same name as your movie file. That's about it...you should now be able to run and configure your relax server, without problems!